You’ve accomplished your juice cleanse, your gym membership is renewed, you’ve got a new haircut, and you’re ready to sign up for that half-marathon you said you’d always do. New Year’s resolutions are a great way to improve your health, change your lifestyle for the better and accomplish goals you never thought possible. 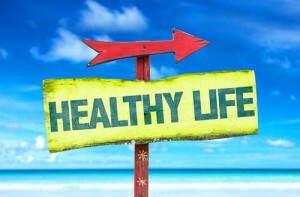 If you can do it for yourself, why not take things a step further and plan some healthy changes in your home? Dehumidifier: If your home is overly humid you will notice a sticky or clammy feeling. Things will feel damp, and your windows will most likely drip with water. Overly humid homes are at risk for mold growth and increased allergy symptoms. It also makes breathing difficult and can contribute to other respiratory illnesses. A dehumidifier will reduce the humidity in your home without changing the overall temperature, making it ideal to complement your AC in the summer and use in the winter as well. Humidifier: Air that is too dry is also a nuisance for homeowners. Not only will your skin feel dry and parched, but also you may experience more frequent nosebleeds and dry, irritated eyes. Dry homes are also dangerous in homes with wood floors or beams, as the dry air can cause the wood to warp and disfigure. A humidifier will add just the right amount of humidity into your air to keep your family comfortable without putting you at risk for mold. As your ducts carry conditioned air throughout your home, they collect debris such as dirt, pet hair, dander and other allergens. Over time, the ducts get filthy with this debris, making it more difficult for the HVAC systems to work efficiently and causing increased allergy symptoms and breathing trouble in your home. 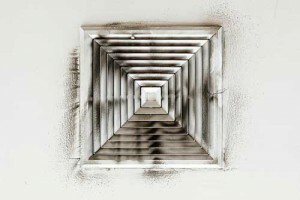 Cleaning the ducts on a regular basis is a great way to make sure your air is clean and fresh and your AC or heating system is working at peak efficiency. HVAC systems such as your AC or boiler use water as part of the condensing process. This means the HVAC systems are at risk for mold growth. Mold is dangerous in your home for numerous reasons, but mostly because of the health concerns and respiratory issues that accompany it. Cleaning your HVAC systems and making sure they are not producing mold is one of the most effective things a homeowner can do to make sure their home is healthy. Contact Cyprus Air Heating and Cooling in Washington, DC today for more information and tips to make your home healthy in the New Year. Call 703-765-9400 today to schedule an appointment with one of our specialists.